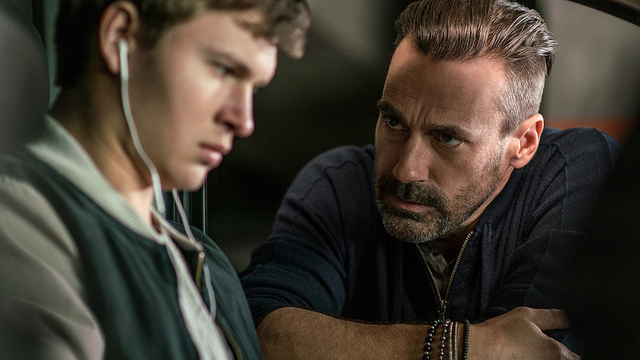 For the protagonist of 2017 hit “Baby Driver,” music is central to existence; it allows him to drown out the omnipresent ringing in his ears that results from tinnitus. Courtesy of BagoGames via Flickr. In the era of Netflix and Hulu, the idea of leaving the comfort of home and watching a movie with a room full of strangers can feel daunting and unnecessary. On Friday, Feb. 1, however, Vassar students found themselves doing just that, having been lured out of the online-streaming havens of their dorm rooms for a screening of “Baby Driver” in the Vogelstein Center for Drama and Film. The film received critical acclaim for precisely this reason. Baby makes his living by driving criminals to and from heists. He suffers from tinnitus, a common symptom of aural conditions in which a person perceives constant ringing in their ear. In order to drown out the hum, he plays music loudly and constantly, timing his life so perfectly that the world around him almost melds into the soundtrack that plays in his ears. 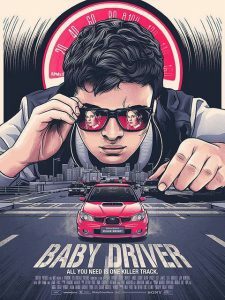 Modfest featured a screening of “Baby Driver, introduced by Assistant Professor of Music Tahirih Motazedian, who described the key role of the film’s soundscape. Courtesy of junaidrao via Flickr. In her introduction to the film, Motazedian referenced several prime examples of instances that exhibit this effect. In one scene, Baby starts playing a song at precisely the right time so that the brass solo will hit while he passes a music store, creating the perfect opportunity for him to play air trumpet with the instrument in the window. Later, Baby commands several armed criminals to wait for a certain part of a song before he allows them to leave the car to rob a bank, just so the music will have reached a crescendo by the time they return. This obsession with timing extends past Baby and into the world around him. Honking car horns and screeching wheels are impeccably rhythmic throughout the film, falling at just the right time to accentuate the beat of whatever song is playing. Motazedian commented, “You’ve never heard such melodic gunfire,” because the shoot-outs blend seamlessly with the soundtrack. She continued: “The sound effects in this film interact with the music to form a rich sonic tapestry. Paying attention to the music-sound interaction reveals fascinating insights in the narrative and allows you to understand the characters on a deeper level.” Essentially, the world is Baby’s music just as much as music is Baby’s world. Event attendee Elizabeth Johnson ’21 related to this aspect of the film: “Music can be a really individual or universal experience, and the movie emphasized the universalness.” This observation rings true when Baby partially loses his hearing and must rely on feeling the vibrations of speakers with his hands (a skill he learned from his deaf foster dad), meaning he can no longer listen to music in isolation; he must play it out loud and allow others to share in his experience. This event fell squarely at the intersection of Vassar’s music and film departments, and, just like the movie itself, raised questions of where one discipline ends and the other begins. For Baby, they overlap in vibrations; for Vassar students, in The Rosenwald Theater.